Government Contractors Association - Heavy Hitters and Big Spenders | Meet the GA Agencies that Award Billions in Contracts Every Year! Heavy Hitters and Big Spenders | Meet the GA Agencies that Award Billions in Contracts Every Year! Award Billions in Contracts Every Year! Join Government Contractors Association (GCA) as we host our 2nd Small Business Connection Series event featuring the Small Business Administration (SBA) | Georgia Department of Transportation (GDOT) | Center for Disease Control (CDC) | City of Atlanta. GDOT, CDC, and City of Atlanta together award Billions of dollars in government contracts annually. Come meet the key influencers and discover how to successfully offer your products & services to these entities. During the HHBS event, GCA is hosting its first annual Capability Pitch Competition where we provide the small business community an opportunity to showcase their capabilities to major government agencies including SBA, City of Atlanta, CDC, and GDOT! To learn more, visit https://www.govassociation.org/event-2963469. 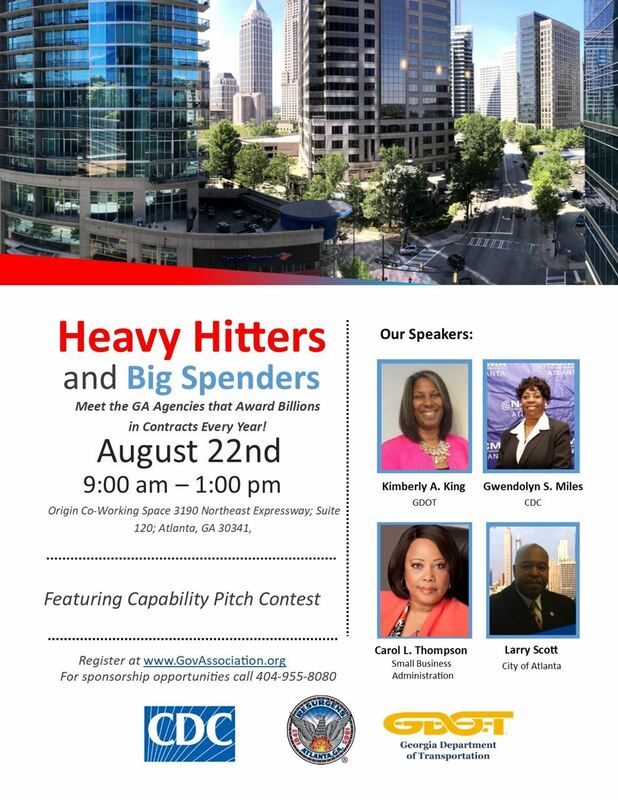 Registration: Heavy Hitters and Big Spenders | Meet the GA Agencies that Award Billions in Contracts Every Year! * Small business owners who are interested in government contracts with CDC, City of Atlanta, and GA Department of Transportation.